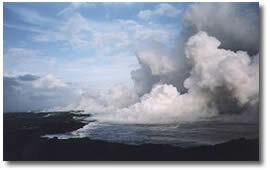 Aloha from BikeVolcano.com on the Big Island of Hawaii! !!! Cruise Ship Passengers Welcome !!! !!! Island Hoppers – Fly, Bike, & Volcano Tour Packages!!! Or, see our TOUR MENU page for More Details. Bike Down an Active Volcano!!! Welcome to BikeVolcano.com guided bicycle tours. 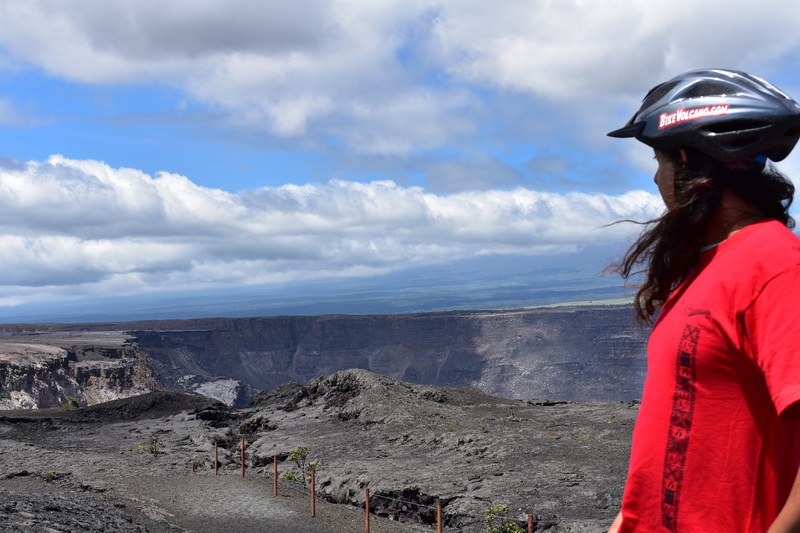 Join us on an incredible bicycle adventure as we explore Kilauea Volcano, one of the most Active Volcanoes in the world, from summit to sea. 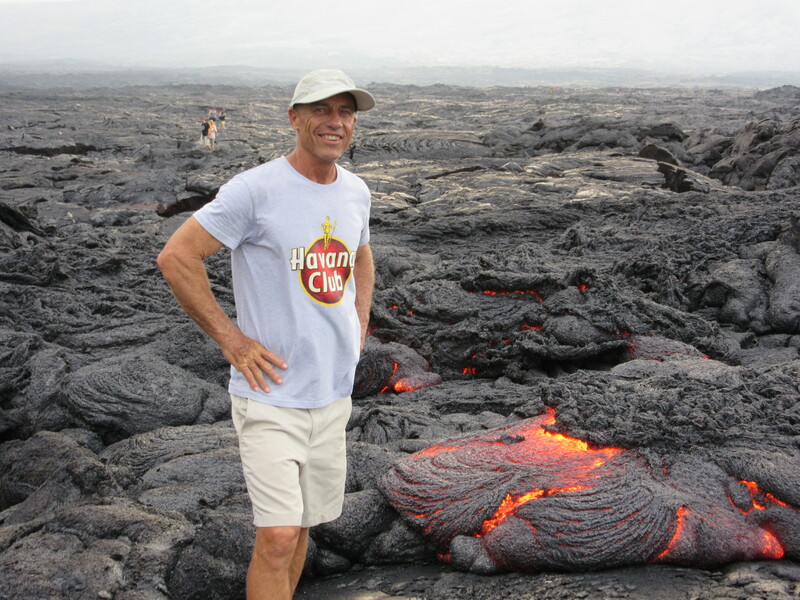 Experiencing the Hawaii Volcanoes National Park and the New Eruption Area by bicycle is simply amazing. Our Professional Interpretive Guides will take you through fantastic terrains, all on mostly downhill and level paved roads and trails, while sharing geological and mythological information with you. 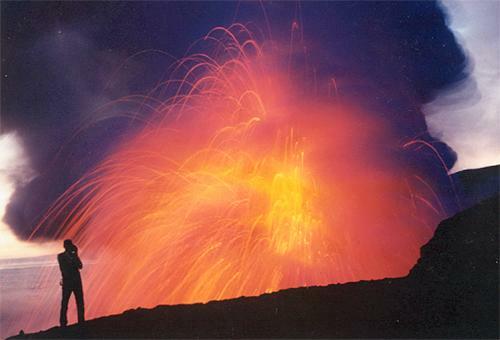 From lush ancient Hawaiian rainforests to dynamic lava landscapes, we will experience a variety of microclimates, huge craters, stand by steaming vents, walk through a lava tube, and if Madame Pele (the Volcano Goddess) allows, we’ll see active lava flows pouring into the Pacific Ocean. Bike as much or as little of this majestic tour, our support van will always be close by. 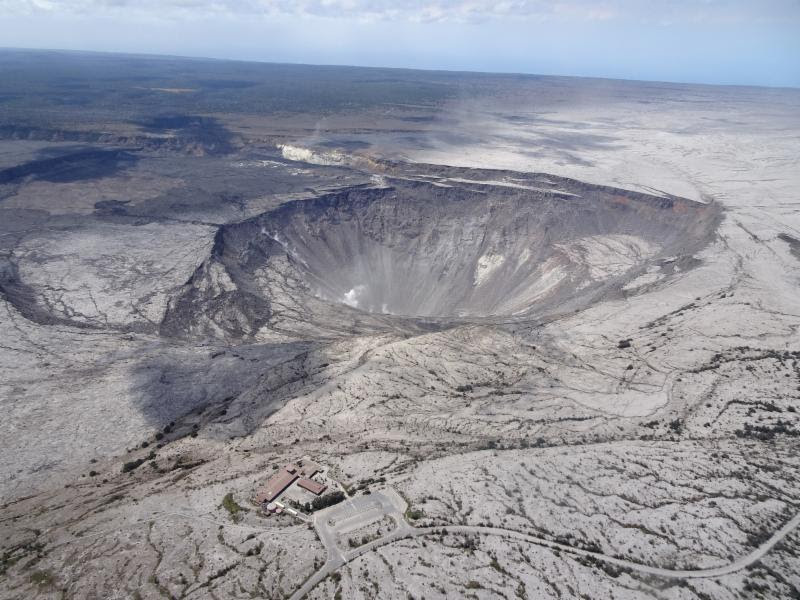 The sights you see in the Hawaii Volcanoes National Park are large-scale and breathtaking. 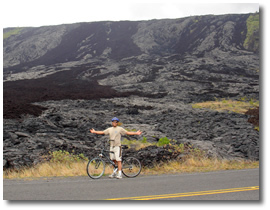 Touring the Park by bicycle is absolutely the most unique and exciting ride anywhere on the Big Island of Hawai`i. Space and availability are limited.